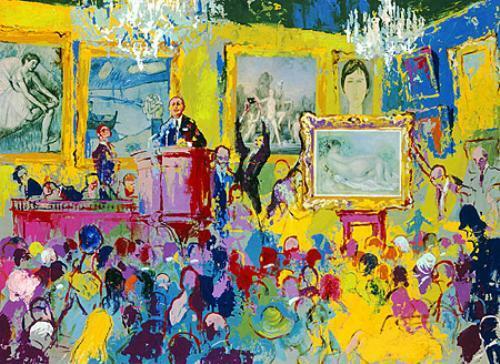 Exhibitions — American Fine Art Inc.
A rare opportunity to see the expansive collection of LeRoy Neiman works displayed as a whole collection spanning from the 1950’s up until the artist’s death in 2012. 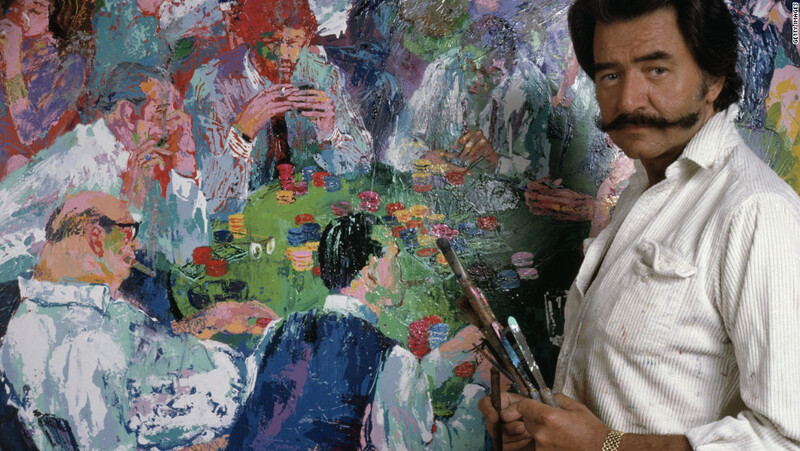 This collection consists of over 200 original Leroy Neiman's from The Polo Lounge to African Safari. 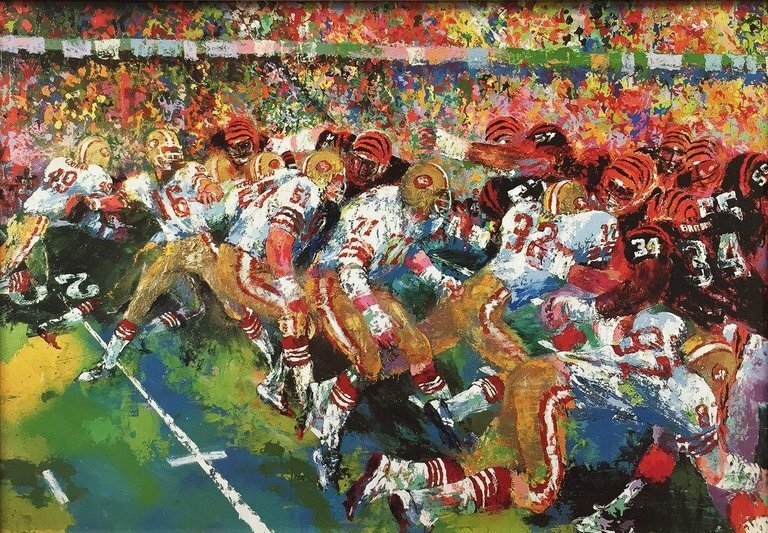 Neiman was known as The Chronicler of the Good Life capturing unforgettable moments in sports, celebrity and athlete portraits, famous locations, and a stunning collection of animals both wild and domesticated. Some highlights of the exhibit include a unique mixed media adaptation of Grant Wood’s American Gothic with culinary flair and one of his most celebrated Super Bowl moments in Silver Dome Super Bowl. 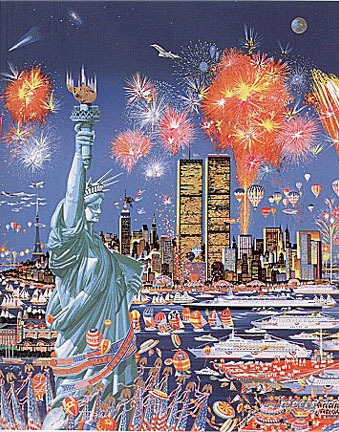 American Fine Art offers the largest collection of Neiman works available in the world, we are thrilled to showcase the works together for art collectors and connoisseurs. 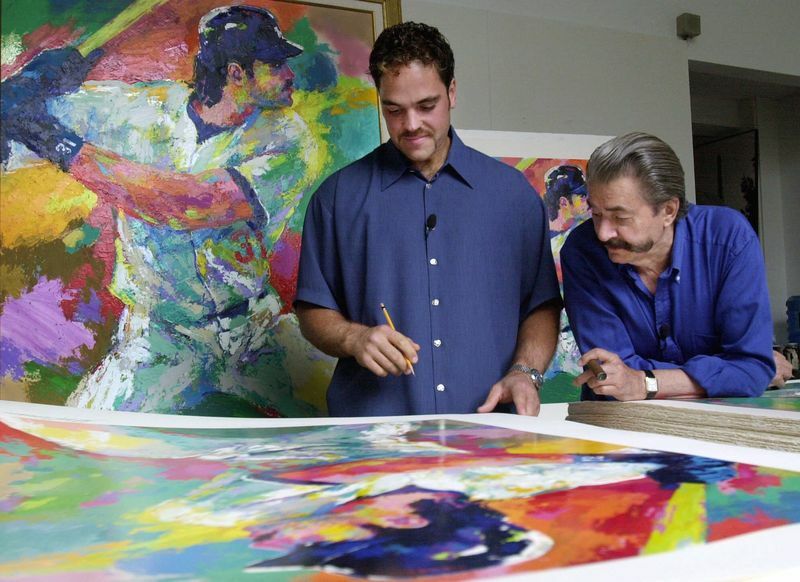 Our International Art Consultants are available to assist you with all of your fine art needs and give you the one on one attention you deserve when building your fine art collection. 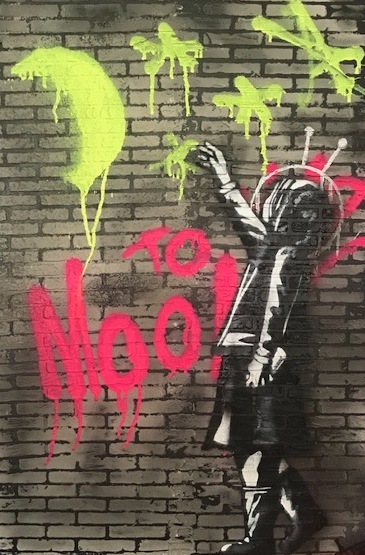 Opening to the public January 11, 2019, American Fine Street Art will showcase the wildly popular works of legendary street artists Banksy, Brainwash, Invader, Dotmaster, and Bambi. The exhibit will also unveil all of the latest works by the rising star of urban art, AtZ. 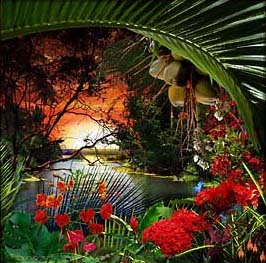 AtZ works predominantly in acrylics, spray paint, and stencil. Having had no formal art training, he looks to his predecessors in the world of street art like Crash, Banksy and Bambi; as well as the Pop Art masters including Andy Warhol and Jean-Michel Basquiat. The messages he paints can be direct and witty or profound yet simplistic. His thought-provoking and engaging compositions do not sacrifice aesthetic beauty for deeper meaning; AtZ believes in creating works that are as visually pleasing as they are philosophically and soulfully appealing. Banksy is the pseudonym of a street artist whose identity remains unknown. 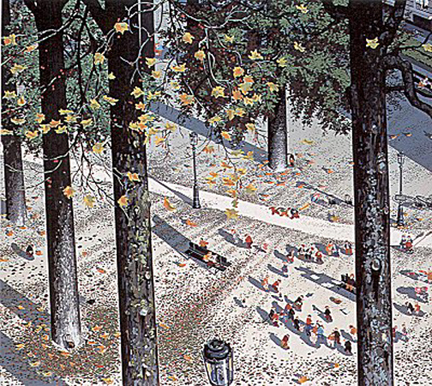 He is most widely recognized for his controversial and often politically themed stenciled pieces. Believed to have been born in Bristol, England around 1974, Banksy rose to prominence for his provocative stenciled pieces in the late 1990s. Banksy's worldwide fame has transformed his artwork from acts of vandalism to sought-after high art pieces. Once an outsider, Banksy has become an industry star, making his public works ever more vulnerable to “salvagers,” who want to cash in on his market value. 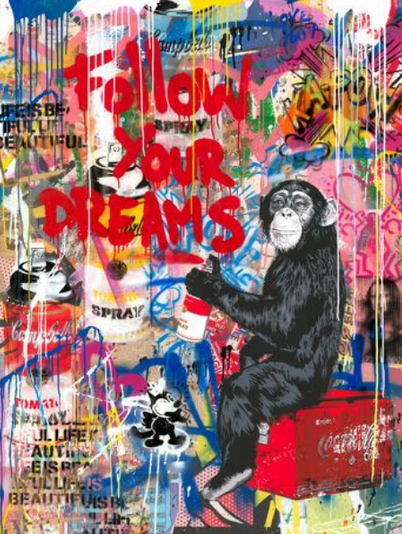 Mr. Brainwash, aka Thierry Guetta, is one of the world’s most famous and successful contemporary artists. He’s a self-proclaimed filmmaker and urban artist. He filmed the escapades of Invader, Fairey, Banksy, and other street artists eventually using the footage in the Oscar-nominated documentary Exit through the Gift Shop, which debuted at the 2010 Sundance Film Festival. The film also depicts the meteoric rise of Mr. Brainwash in the street art scene. 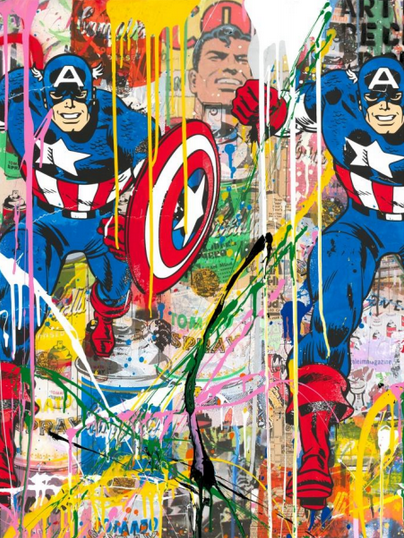 Following the success of the film, Mr. Brainwash gained massive attention and enthusiasm among collectors. Contact the gallery to schedule a private preview of the exhibit or for more detail, (480)990-1200. This fantastical exhibit features a stunning collection or original works by two artists of Japanese heritage: Hiro Yamagata and Satobo. 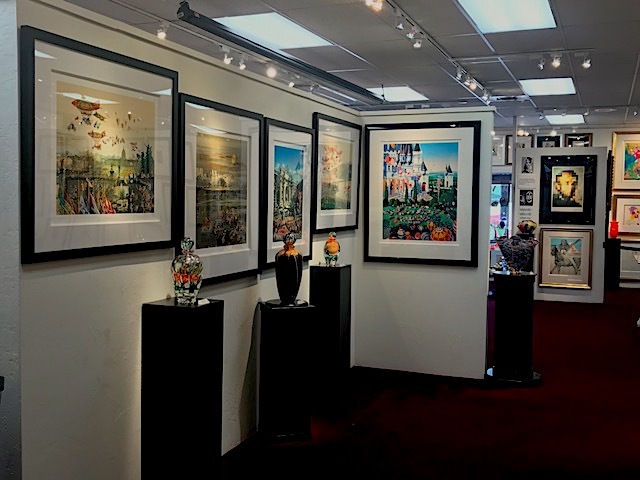 We invite you to visit the showroom to see these works in person. The scale of Satobo’s work is powerful and engaging while the whimsical other-worldly details of Yamagata transport you both in brilliant palettes of bold colors. 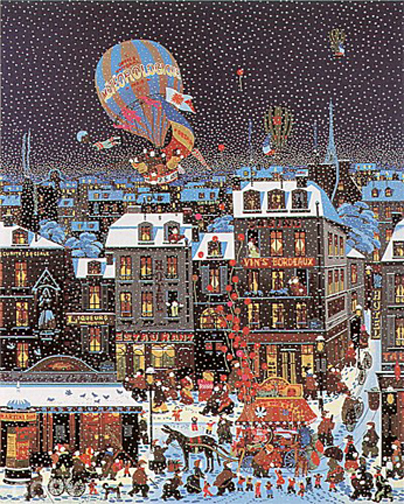 To request a portfolio of available works from the collection, contact us at 480.990.1200.